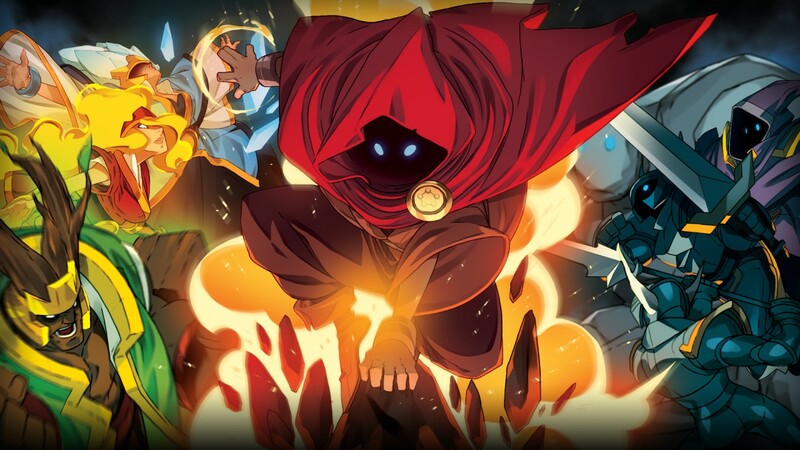 Wizard of Legend joins Gungeon and Isaac as one of the finest roguelike games available on the Switch. As with so many of the genre, it’s difficult and unforgiving, forcing players to find out mechanics the hard way – by selecting options and dealing with the fallout. And It’s a game which takes so much from its peers, but goes the distance to differentiate itself in other ways. Mechanics from Isaac are dotted around, combat is reminiscent of Gungeon, but with a Melee flair and yet, Wizard of Legend feels completely original. There may be moments to give you pause and consider the influence behind decisions, but never do you feel the developers are recycling ideas. While the game opens with a tutorial painted as a pseudo-story, it’s likely you’ll feel entirely lost for the first handful of attempts at playing. Your character is introduced as someone visiting a museum dedicated to wizards of old and the arcana trials they would complete. The chaos trial is made of randomly generated floors, bookended with bosses and was conceived to test the wizards and their power. Our protagonist is visiting the exhibits, trying out old spells and experiencing what life would have been like, when suddenly they’re transported to the time of wizards and the actual trials themselves. From this point onwards, Wizard of Legend assaults the player with challenging enemies and even harder boss fights. The only thing standing in your way is basic skills, which will evolve the more time you put into the game. Each of the face buttons represents a skill, be it an attack or maybe a defensive teleporting movement. These can be swapped out as your procure more from the dungeons and marketplace, swapping them in and out as you decide what suits your personal playstyle best. You may prefer the impact of the fire spells, or the defensive quirks of ice… you could even combine the two which gives an odd balance, but allows for more personalisation. Your base of operations is a quaint house filled with talking furniture, making the game feel like a violent hybrid of Sorcerer’s Apprentice and Beauty and the Beast. But they’re there to hand out tips and hold onto your items between battles. The spellbook keeps your abilities, the wardrobe holds cloaks which bestow unique properties and the chest holds onto your relics. The relics, of which there are many, buff your character with passive perks. These range from extra speed, higher health caps, more powerful elemental magic to increased money drops. Of course, no good roguelike would be without a shop of some kind. Teleporting from your house to the trials, you’ll find traders who take chaos gems from you in exchange for new arcana spells or relics. The gems drop within the trials, so it’ll take a while before you’ve finished enough runs to start collecting a small stash to splurge. Other NPCs are dotted around in the township hub, reminding me of the hall in Gungeon – these characters offer opportunities for gems which can alter the generation of the dungeons or the order of the bosses. It’s not just trading outside the dungeons, inside you’ll find traders who operate in gold coins, which drop from enemies and bits of the environment, but anything you buy is limited to that run, so choose wisely. Nice additions come from cursed relics, which give you a substantial buff, but trade a debuff, too. You might see enemy maximum health lowered, but your own will be lowered too. There are rare NPCs too, such as the piñata who requires powerful moves to break open, spilling interesting items. So far, a normal roguelike. And Wizard of Legend doesn’t go much further past that, because it doesn’t need to. The game is solid, the mechanics are interesting and the variation of enemies will keep you on your toes. But, it is incredibly tough. I pride myself on being good at roguelikes as they’re my favourite genre of game. I struggled a lot with early runs and at the time of writing this, still haven’t finished a playthrough with the final boss. Of course, the randomisation has a part to play; if you don’t get ideal items or are experimenting with new relics, there’s a strong chance your run will be a sacrifice in order to learn or gain more consumables. This isn’t a fault of the game, but should be considered, because the gorgeous pixel art is a cover for a hard as nails action game. Once you’re in a groove, you can spend hours chasing the perfect playthrough, combining items and spells and tackling the dungeons. Handily, the game keeps track of how many runs you’ve attempted, which, when you reach triple digits, is a lovely metric for how addictive the game can be.